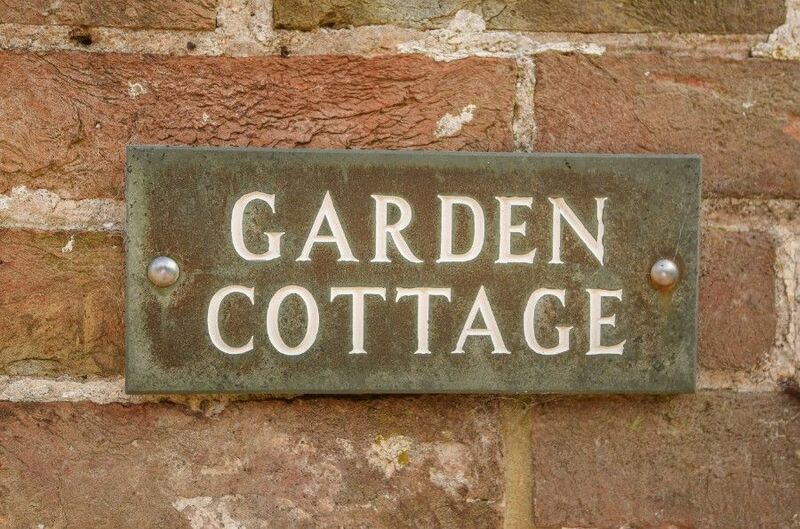 Garden Cottage is a restored detached cottage set in the gardens of Westgate House. 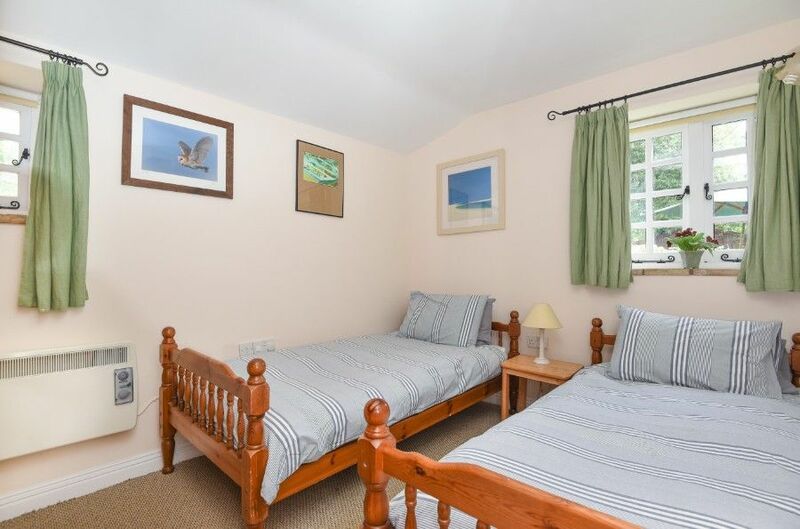 The cottage provides comfortable accommodation for 4 having been renovated to a high standard and being well-maintained by its owners. 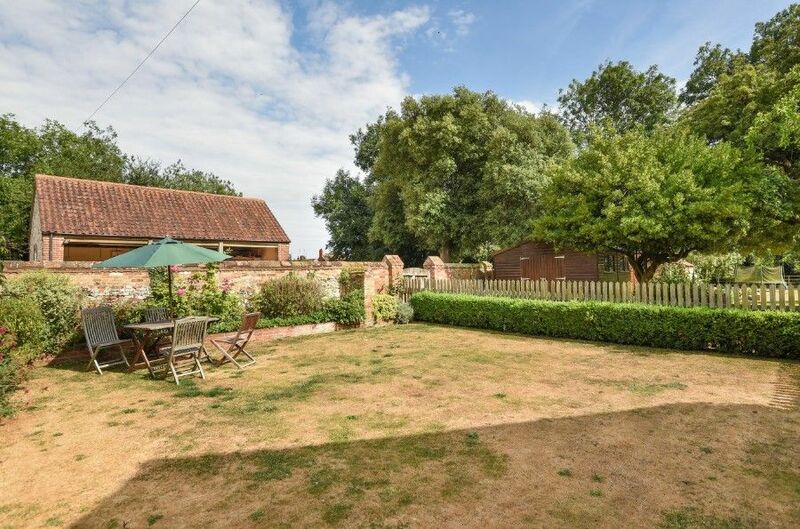 It is situated down a quiet lane in the charming village of Ringstead, within a short walk of an excellent pub, village shop and children's playground and less that 2 miles to the beautiful coast at Holme. The cottage has new heaters throughout keeping it nice and cosy during the year. 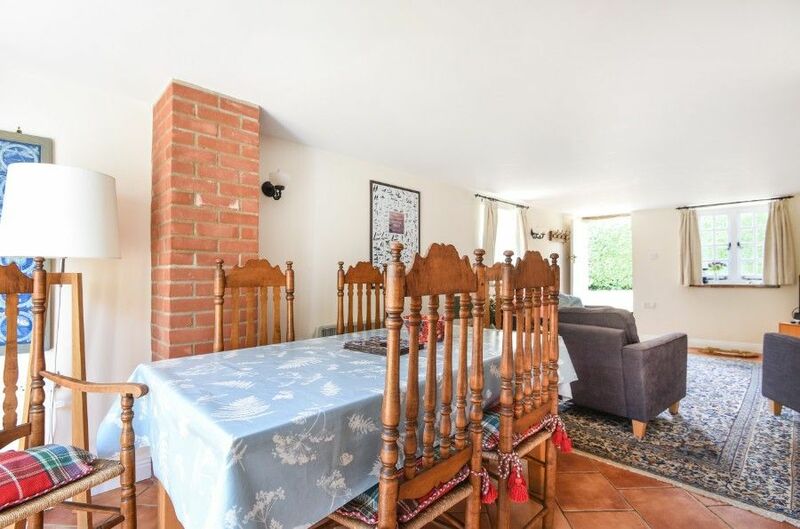 Sitting/Dining Area: Spacious area with stone tiled floor. 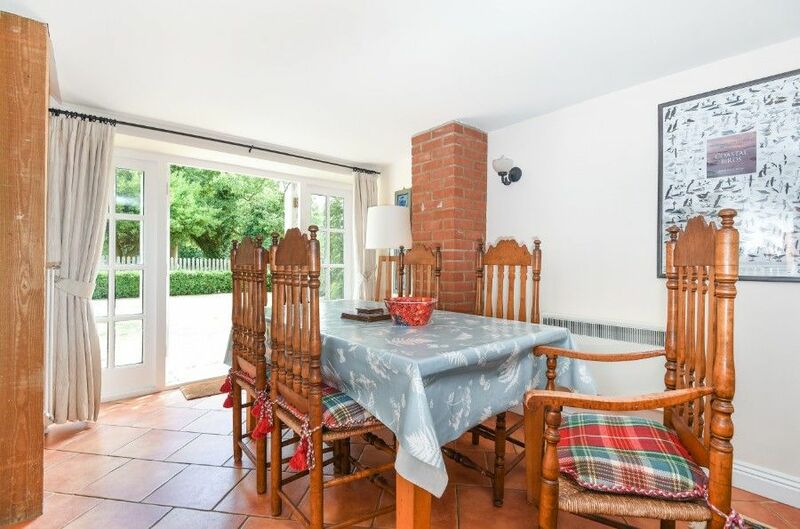 Dining area has round table and 4 chairs, music system and doors to the garden. 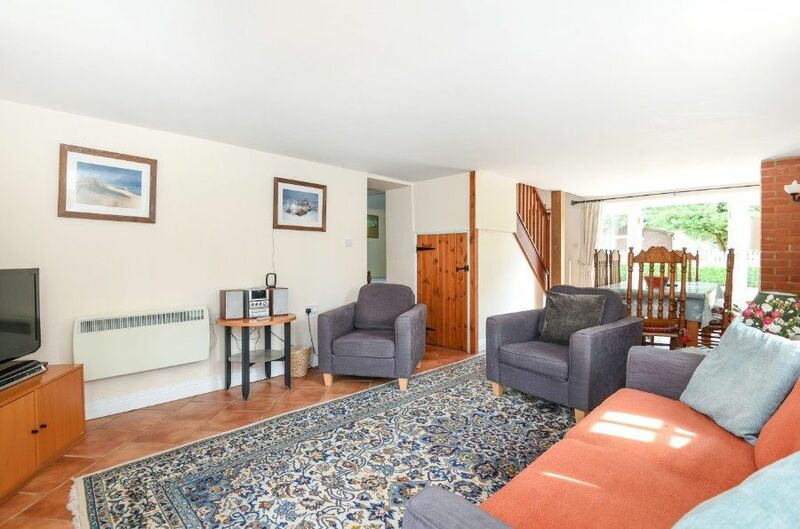 Sitting area has a large sofa, 2 armchairs, TV and DVD player. 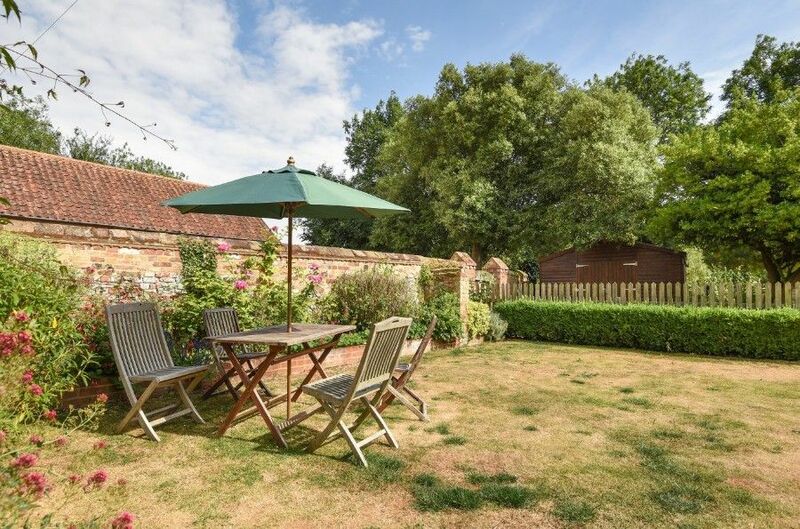 Please note that although the cottage does have wireless broadband, the reception is rather patchy and often only picked up in the garden! 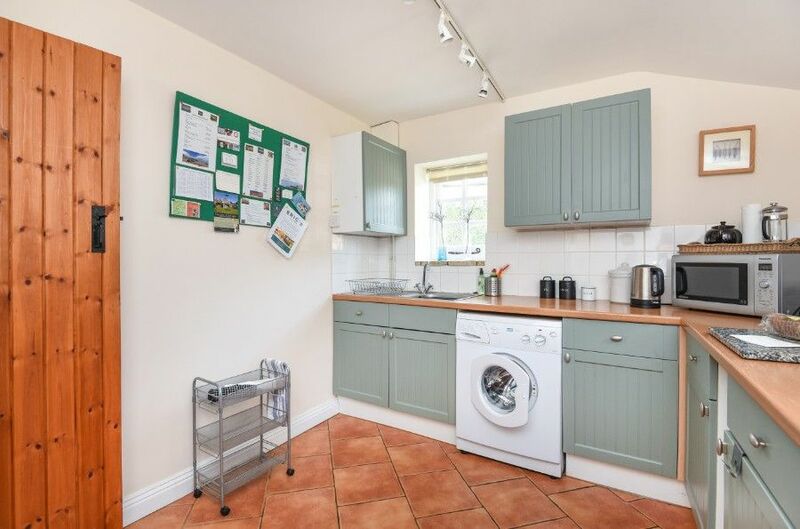 Kitchen: Fitted and well-equipped with double electric oven, fridge, freezer, microwave and washing machine. 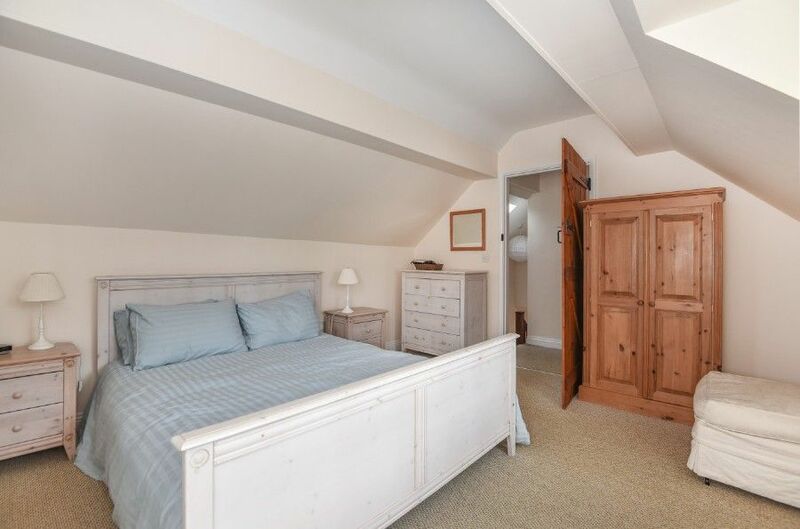 Bedroom 2: Twin beds, bedside table, lamp, wardrobe and mirror. 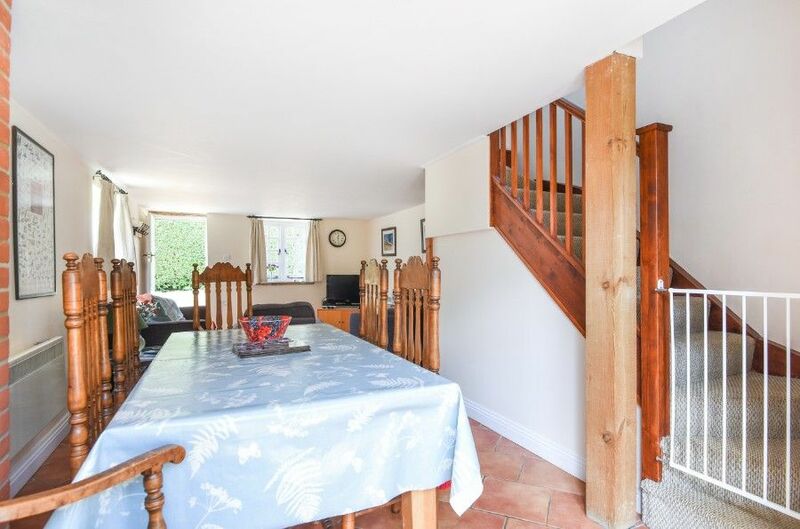 The stairs are not steep and there is a banister. 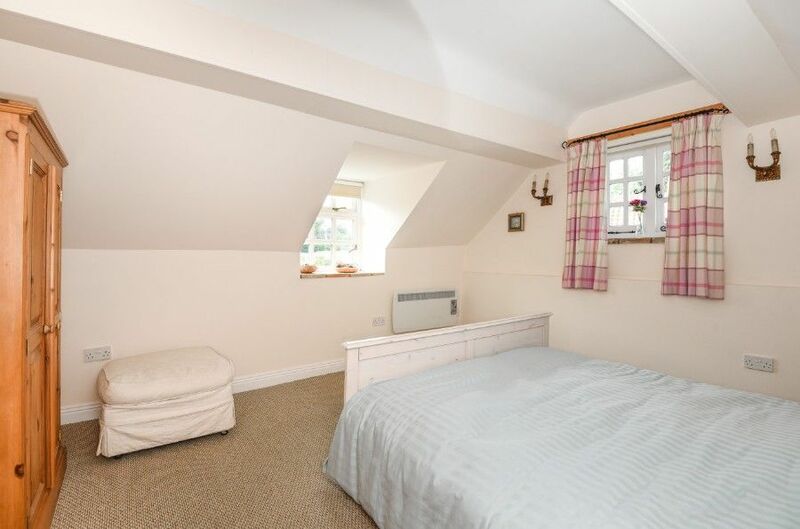 Bedroom One: Large room with king-size bed, bedside tables and lamps, chest of drawers and wardrobe. 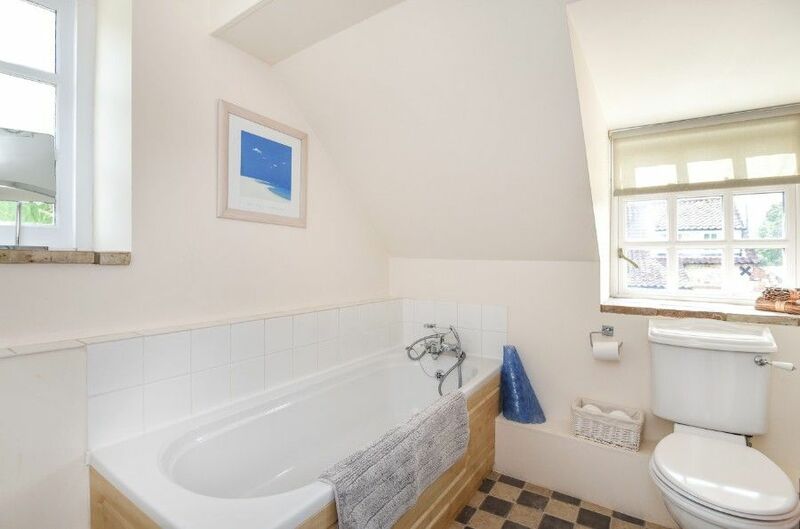 Bathroom: Walk-in shower, bath with shower mixer taps, hand basin, heated towel rail and WC. 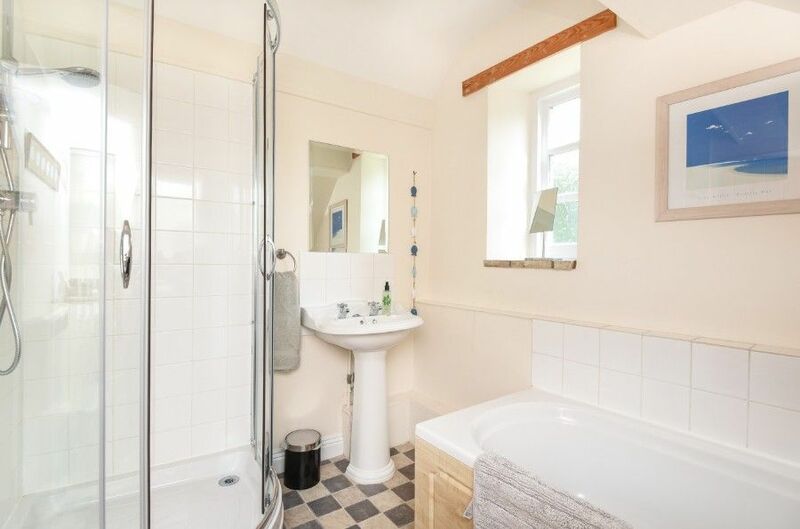 The cottage has its own enclosed garden with a good sized lawned area and flower beds. There is outside furniture and this is a lovely peaceful location. Plenty of off-street parking space. 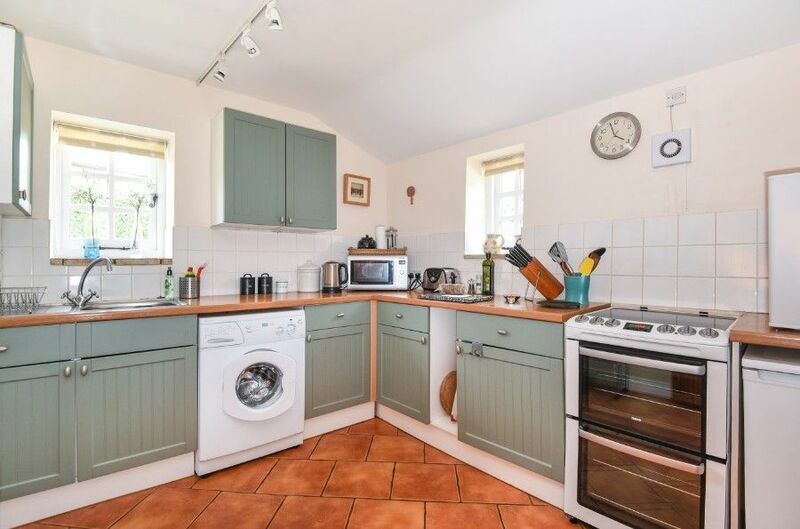 There are several lovely walks direct from the cottage, and the advantage of a good pub/restaurant, The Gin Trap Inn, as well as an excellent village shop, only minutes walk away. 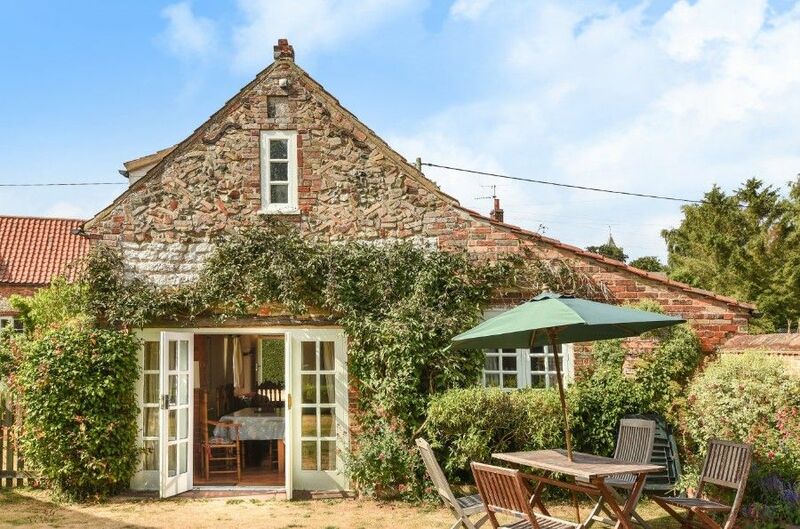 We love this cottage and location and are already recommending it to friends. Great stay, we had everything we needed, very comfortable furniture, very pleased with the cottage. 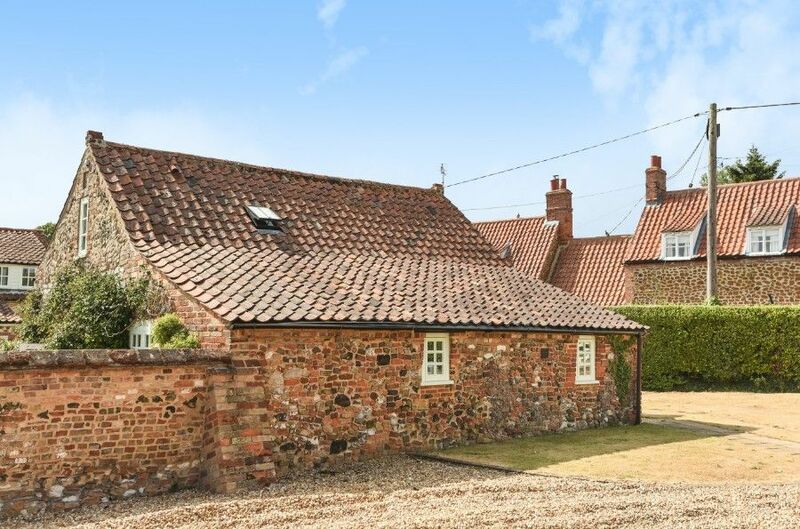 An attractive village approximately 2 miles inland from Holme with pink and white-washed cottages built in traditional Norfolk carrstone. 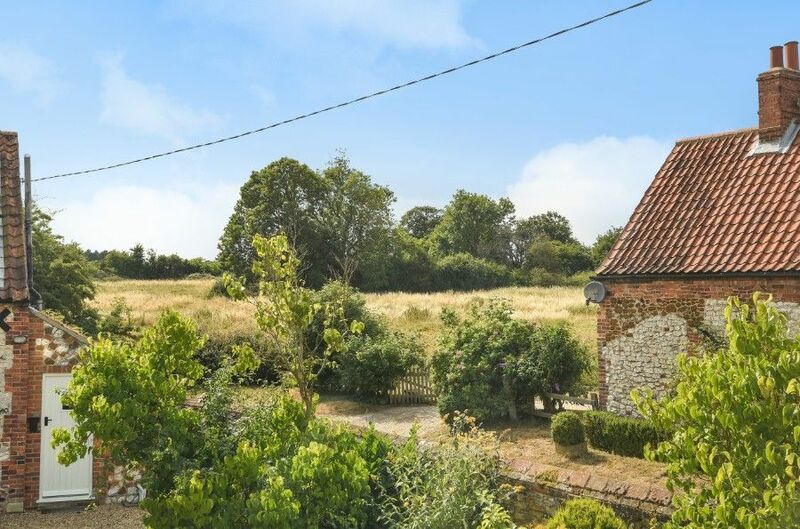 A rare Norman round tower, all that survives of St. Peter's church, stands in the grounds of the former rectory. 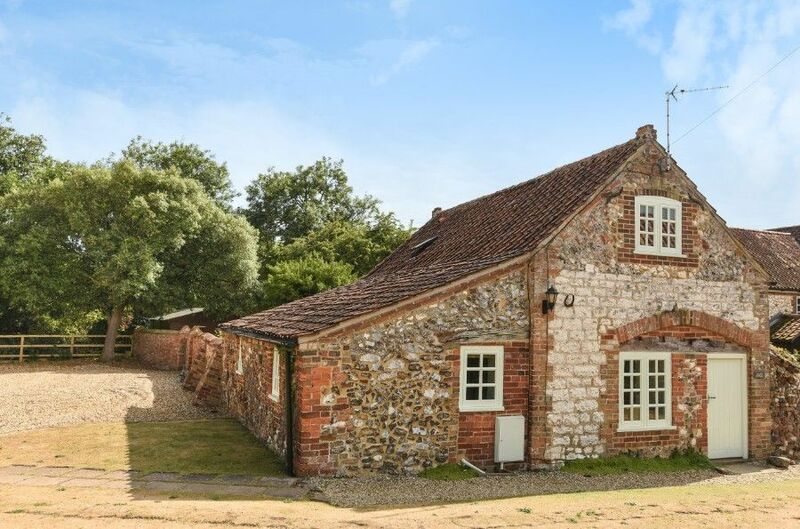 A good village for walkers with access onto the Peddars Way, the Courtyard Farm walks and also the lovely Ringstead Downs nature reserve. 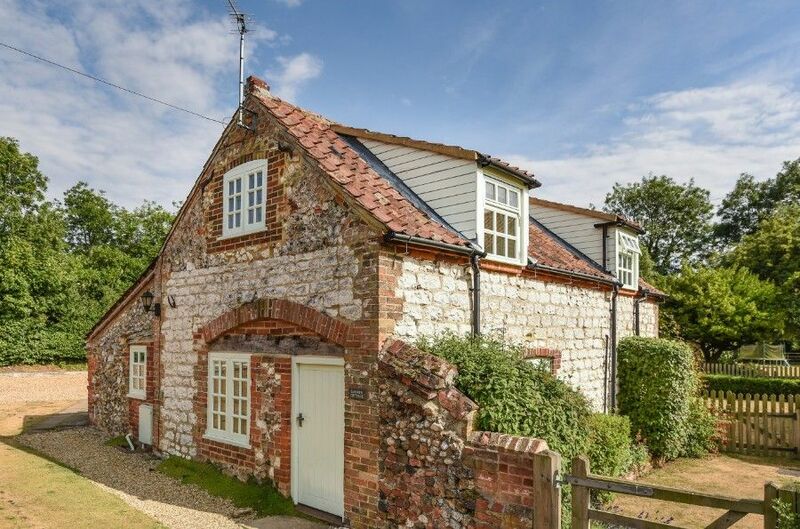 Ringstead has an excellent village shop stocking a wide range of products and there is an excellent 17th original coaching inn, The Gin Trap, which serves delicious food and great wines and beers, as well as a fantastic selection of different gins! 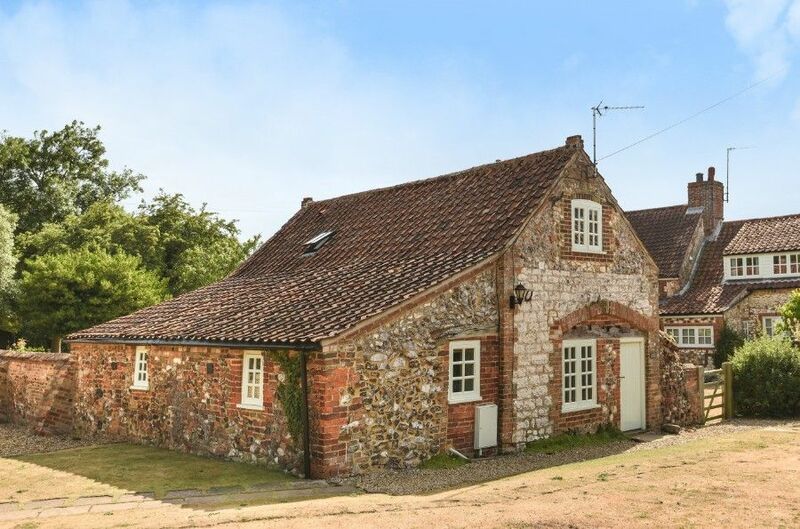 If you would like to see more of our holiday homes in and around the Norfolk coastal town of Ringstead, please click here.